All American schoolchildren are taught about the three branches of the federal government: legislative, executive and judicial. The Constitution’s establishment of these branches came from over 1800 years of political thinking. Most of the Founding Fathers were well educated and had studied classical political philosophy. The American government’s structure did not spring miraculously from the Founder’s minds. Its genesis is traceable through history, going back to ancient Rome. The first three articles of the Constitution are devoted to this structure: Article I, legislative, Article II, executive, Article III, judicial. The American constitution evolved from theories in governance going back to a Greek historian, Polybius. Political thought regarding the organization of society evolved over the centuries. Eighteenth century French philosopher, Charles-Louis de Secondat, baron de La Brède et de Montesquieu is credited with distilling centuries of ideas into a theory for the constitution of government embracing separation of power. James Madison pressed for incorporating these ideas in the American Constitution. 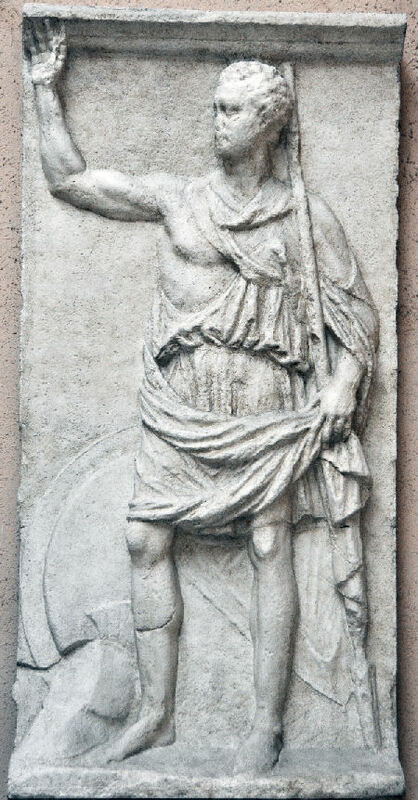 Polybius lived circa 200-118 B.C. In his work, the Histories, he chronicled Roman history from 220-146 B.C. His work included an analysis of the three principle forms of government, monarchy (rule by one), aristocracy (rule by few) and democracy (rule by many). He observed that in each of the three, an unavoidable degeneration took place over time. A monarch would become a tyranny. An aristocracy would become an oligarchy. A democracy ultimately degenerated into mob-rule. In each, this took place by a gradual decline that he calls anacyclosis or “political revolution”. Hereditary monarchs did not possess the qualities of their predecessors. Aristocrats over time became the idle rich and unconnected to the people. Pure democracy leads to a tyranny of the majority and disenfranchisement of a significant minority. Polybius believed that Republican Rome avoided this endless cycle by establishing a mixed constitution, a single state with elements of all three forms of government at once: monarchy (in the form of its elected executives, the consuls), aristocracy (as represented by the Senate), and democracy (in the form of the popular assemblies, such as the Comitia Centuriata). Polybius credited the success of Rome to having mixed these forms of government, and separating power among the various groups of society, giving every group a stake and every individual incentive to contribute. Polybius’ observations and writings began the evolutionary development of the separation of powers concept. Polybius laid the groundwork on how to best organize society and secure maximum liberty. His thinking was introduced to Europe in the 16th century, when translations in French, German, Italian and English first appeared. Charles-Louis de Secondat, baron de La Brède et de Montesquieu (Montesquieu) heavily relied upon Polybius in his 1748 treatise Spirit of the Laws. Polybius had extolled the virtues of government with power distributed among various interests. The distributions he described were based upon different groups, not division of governmental functions. 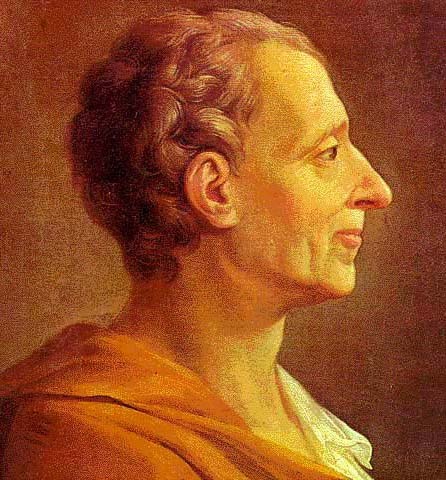 Montesquieu is credited with denoting separate functions of government as legislative, executive and judicial. The concept was over 1,800 years in the making. 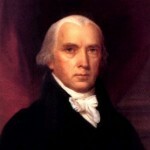 James Madison is referred to as the Father of the American Constitution. Madison is credited with building a government able to govern yet protective of freedom by dividing the three principle functions of government between separate departments. These departments would have different selection processes and terms of service. The American experiment was the culmination of nearly two millennia of political development. Americans were blessed in the summer of 1787 with men of education, classical training and the wisdom to realize that the best ideas of the ages were available to them in constituting a government for the young nation. The thought of separating power to protect liberty did not originate with those men, but as students of government and history, they put it to the test in constructing the institutions of American self-government. The synthesis of centuries of thought to divide power was critical in the plan to achieve the balance between having an effective, legitimate civil government comporting with the “… Laws of Nature and Nature’s God…”as set forth in the Declaration of Independence. The Separation of Powers institutionalized in the Constitution was the culmination 18 centuries of human thought on establishing government yet protecting rights. The American Founders relied upon that, but the colonial experience taught them that further protections against tyrannical government would still be needed. The Constitution established institutions that not only separated government functions within the central government, but would separate subject matter sovereignty between governments within the same territory creating American Federalism.